St Nicholas Hospice Care’s first Pumpkin Parade was smashing fun for the whole family. Cambridge Care Company sponsored the fun filled event which raised £2,000 for the charity, 84 children completed the 1km pumpkin themed walk around the charity’s grounds in Hardwick Lane, Bury St Edmunds. Newamarket Tesco, Bury St Edmunds Asda and Oakley Farms kindly donated pumpkins to the event on Saturday, 27 October, which included a Halloween themed craft session in the hospice’s Bistro. Melissa Frost said: “My grandsons Stanley and Daniel had a great day at the pumpkin parade. They managed to raise £400 for the hospice which cared for their Great Grandad Roy during the last few weeks of his life in 2017. Emma Clements, the hospice’s major events fundraiser, said: “It was great to see the children dressed up and enjoying the walk. Art and craft activities were also available and it was brilliant that many families stayed to enjoy these”. “A huge thank you to all the families that took part, and to everyone who supported the event”. St Nicholas Hospice Care is a local charity, which looks after people experiencing long-term or life-threatening conditions, death, dying and bereavement. 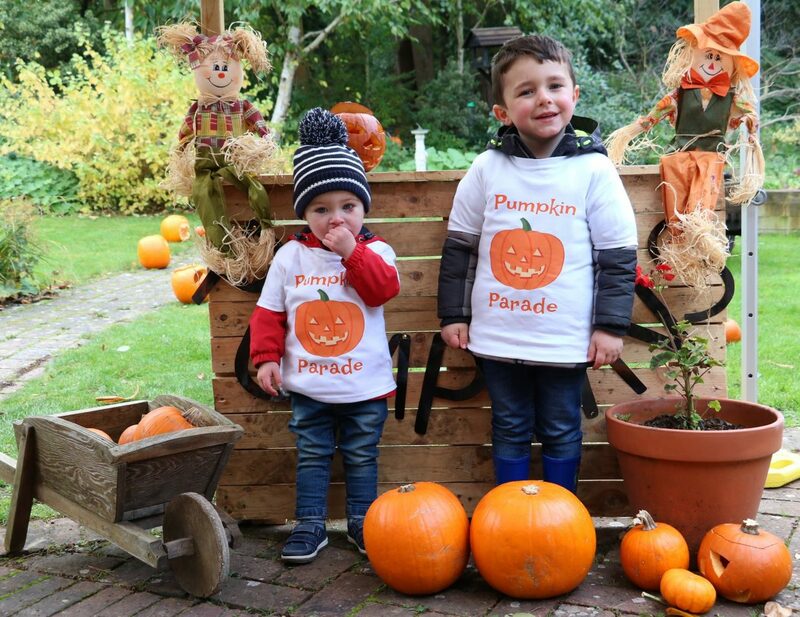 Photo caption: Well done to brothers Stanley and Daniel who took part in the Pumpkin Parade and raised £400 for St Nicholas Hospice Care.